There are many reasons for giving up sugar consumption. And the ability to lose a few kilograms is not the main reason to quit sweets. There are at least eight more important reasons to think about eliminating sugar from your diet. Sugar is one of the most harmful products. It’s one thing when we eat it as part of fruits and vegetables, and it’s quite another thing when it is the habit of eating refined sugar or sweets. It doesn’t matter if you ate some ketchup or drank a milkshake. In any case, the sugar easily and quietly penetrates into our daily diet. Many are trying to give up sugar. Of course, the first advantage of this behavior that comes to mind is losing weight. In fact, the positive impact of the rejection of sweets extends much more than the size of your body. Elevated sugar levels are directly related to the state of despair and depression. Usually, right after you eat the sweetness, you feel better. But in the long run, sugar weakens the body’s ability to combat stress and throw away the right, mood-enhancing substances. For example, dopamine. Sugar activates all inflammatory processes in the body. If the body passes through such a test, the person immediately plunges into sadness or depression. This is especially true for women. So, instead of quickly quenching your thirst for sweets, try to be patient a little and eat more foods rich in tryptophan: poultry, eggs, and nuts. This food helps the body actively produce serotonin – the hormone of happiness. Sugar is the main provocateur of the development of inflammatory processes. It greatly affects the immune system. In addition, if sugar levels are elevated, your body will be weakened and will not be able to withstand infections. As a result, we can often catch a cold or flu more easily. Also, sugar increases blood pressure, which further undermines the immune system. To strengthen your health, eat foods that are rich in antioxidants: salmon, almonds, prunes, and dried apricots. A study conducted by scientists from the University of California showed that sugar impairs our mental abilities and interferes with our studies. Sweet creates the effect of fog in the mind and does not give us the ability to focus on specific goals. To focus better, learn how to meditate. It calms the mind. The desire to eat something sweet is the consequences of long sugar intake from year to year. This substance is akin to a drug, and, absorbing it, you go on to the addiction stage. The bad thing is that the body does not know how to distinguish the sources of sugar produced. It really doesn’t care if you ate grapes or a chocolate bar. Refusal from sugar will not do a miracle and will not turn back time. However, it can slow down the aging process. Sugar produces new molecules that attack collagen and elastin fibers – the ones that make your skin toned and smooth. Research also suggests that sugar is one of the causes of acne. Sugar briefly makes us feel very energetic and fast. But just like caffeine, it provides only a short-term effect, after which there are complete failure and fatigue. The body burns the resulting substance very quickly, due to which these jumps in mood and productivity are obtained. To be active all the time, you should eat complex carbohydrates that are found in legumes, whole grain pasta, and cereals. The increased pressure provoked by sugar is not the only dangerous consequence of its use. This substance can also reduce the level of “good” cholesterol. As a result, you are more prone to heart disease, seizures, and heart attacks. Eating a large number of sweets can make you diabetic. And because sugar affects our cognitive abilities, it also associates with the risk of developing Alzheimer’s disease. Sugar reacts with bacteria that are in the oral cavity. During the interaction, the formation of an organic acid occurs, which destroys the enamel. Because of the violation of the integrity of the tooth, caries are formed. That is, eating candy, acid is formed in the mouth, and immediately attacks the teeth. The more sweeties in the daily diet, the weaker the teeth become. As a result, your teeth hurt, which is a sign of many serious diseases, which can’t be treated without a tooth surgeon. Stress and despair, the companion sweet lover. Therefore, it is very difficult for them to fall asleep. Now and then toss and turn in bed from side to side, rethinking life. 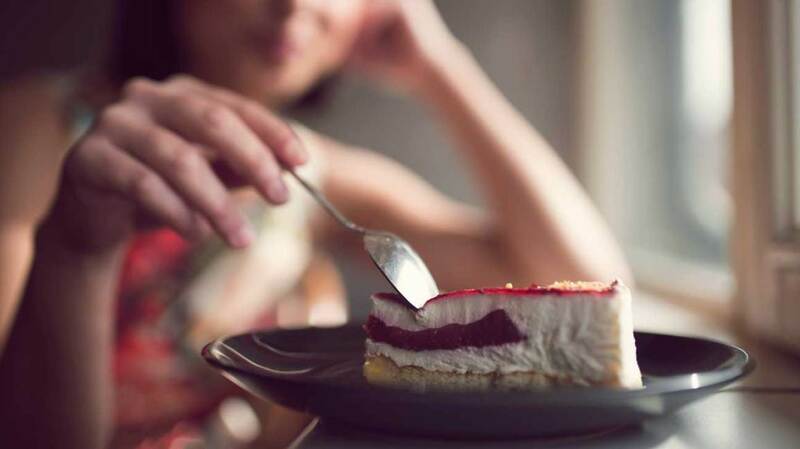 Refusing sugar will make you more relaxed, which means it will improve sleep. Plus, you will try to replenish energy reserves with nutritious and healthy food, which also has a positive effect on night rest.